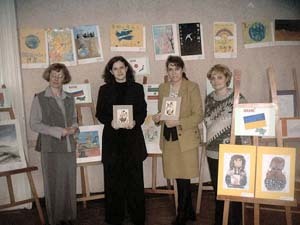 On 7 of April was the openning of the forth exhibition in Ukraine. 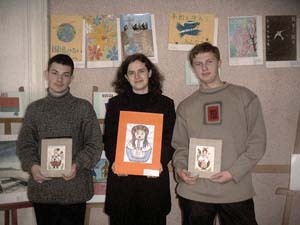 Tatyana Sporynina, coordinator of the project in Ukraine, and participants of the project. 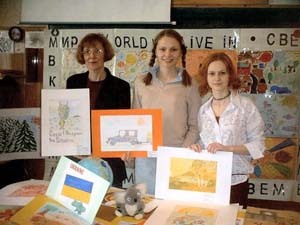 Please, enjoy photos from the 4th exhibition in the Ukrainian Gymnasium #2, Chernivtsy. 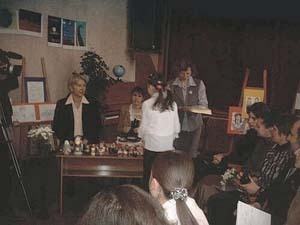 Tatyana Sporynina made a lot to interest local media in the great event of the international exhibition. 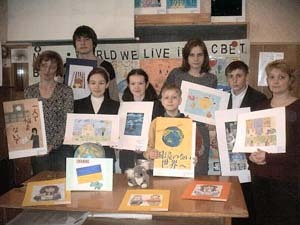 The article about the project "From Russia to Japan with Love" was printed in the Ukrainian newspaper "Chernivtsy". 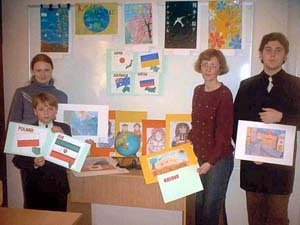 You can download it here. 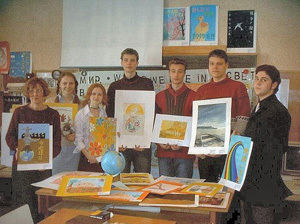 In the office of the newspaper "Chernivtsy". 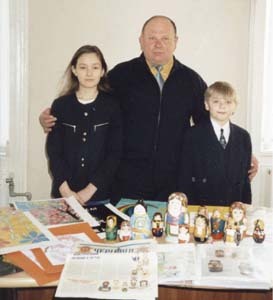 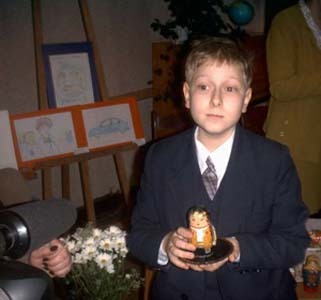 Alexandr Krivich, the artist of the artwork "Russian and Japanese dolls", is giving an interview.